All Star Sportswear was established in Cincinnati, Ohio in 1998 by brothers Jerry and Brian Gillespie. All Star Sportswear offers a full line of team uniforms and sporting goods products from suppliers such as Rawlings, Alleson Athletic, Rip-It Sporting Goods, Diamond, Holloway Sportswear, High 5 Sportswear, Port Authority and many more. Our decoration services include silk screening, sublimation, custom embroidery, and applique. We carry sports equipment for Baseball, Softball, Football, Basketball, Soccer and many more. All Star Sportswear specializes in team and organizational sales. Let us handle your spiritwear needs for your team, school or organization. 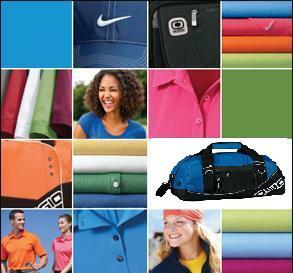 Looking for Corporate Apparel or promotional items? Give us a call and let us make your life easier.